David Mac (DM): Good morning John. How about we take that familiar blues journey from Texas out to California and talk about some of the work you did out here with guitarist Kirk Fletcher. at the time Jimmy Morello was serving as a producer and talent scout as well as song writer. He was the person that brought Kirk to my attention. DM: Where was Jimmy based in those days? JS: Pacifica Studios in L.A.
DM: Those records had a very distinctive house sound. JS: True that. Much of this could be credited to our house band of some great L.A. musicians centered around Rick Reed on bass, John Marx on guitar and drummer Paul Fasulo. DM: Do you remember your thoughts upon hearing Kirk’s music for the first time? JS: I remember Jimmy playing the demo CD on the phone to me. I gave the OK right there and then. 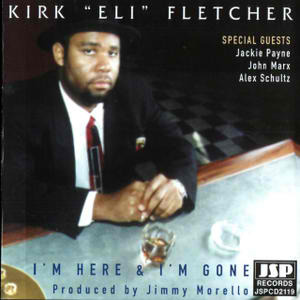 Kirk had made a four song demo CD with Roosevelt Caldwell singing. Kirk graciously let me add those four demo tracks to the 10th anniversary reissue version of the album. Kirk doesn't sing or didn't then. He has promised me he will become a singer one day. So, we had both John Marx and the legendary Jackie Payne share the vocals. We left plenty of space for both Kirk's instrumentals and “cut loose” solos. DM: John, we might as well tell our readers the name of the record we are talking about. JS: The album is I'm Here and I'm Gone. What was he, in his early 20's then? What a mature talent. He has the ability, like Buddy, to build a solo and to turn it into something interesting in its own right, a rare talent actually. DM: You worked with Kirk on other projects as well. JS: Kirk played second guitar on the Kris Wiley album and then contributed mightily to the Lisa Bourne Bluehipnotik album, playing almost all the lead and solo work. Lisa dropped off the scene about a year after the album was released so that album hasn't had the recognition it deserved, but I'm thinking I may release it again next year and feature it more as a Kirk album. His playing on this one is even better than on his own album. Kirk was recognized as a major talent immediately. I remember he and the band with Jimmy and Sweet Betty played the Lucerne Blues Festival in 2000 which is the most high profile kick off you can get to the European scene. Kirk has a wonderful future. He needs to start singing of course and needs a “major” record deal. In the meantime he's out there building a huge reputation. DM: Let’s go back to the future and discuss the re-issue historical boxes that constitute some of the very important entries in many of our music libraries and for which you are famous. How did this aspect of your business come about? JS: Someone, I've forgotten who, said to me something along the lines of 'If you're doing the new sessions you should also do the old. I know this man called John R. T. Davies.' It wasn't a direction I had planned to go in, but you might have noticed that I'll try almost anything. My little experiments mostly go nowhere in commercial terms, but sometimes, just sometimes I hit a commercial or an artistic jackpot. John turned out to be this fascinating, amiable and eccentric character who really had pioneered the whole concept of re-mastering old recordings. He called it “decerealising” as he described it. DM: OK...I give up John. What is “decerealising”? JS: (laughs) John would take away the away the snap, crackle and pop. JS: He didn't just clean up the sound, he found new depths, a new richness and fuller range of frequencies and yes, he really did take a razor blade to the tape to scratch out blemishes and crackles in the sound. He was a real master and we all owe him so much. DM: ...and old school, I might add. JS: Good point Dave. This is before computer programs made all of this routine. DM: What time frame are we talking about here John? JS: It was in 1986 that I jumped into the CD revolution. I got into it really early actually. We decided that JSP was the label that was going to be the place where important re-masters got the CD treatment first. We did some album projects together, some interesting things, but he had many labels he was working with. 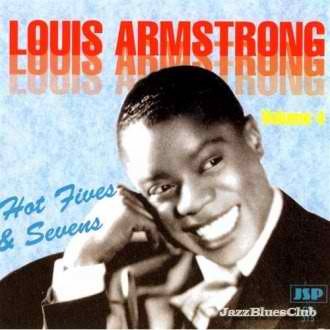 We did four CDs on Louis Armstrong’s Hot Fives and Sevens, we did discs on Bix Beiderbecke, Eddie Lang and so many others. This is all fine until sometime in 1999 my English distributor suggested to me that I put the four Louis Armstrong CDs together in a box set. DM: All of this sounds more serendipitous than I would have guessed. JS: I think by now Dave you are starting to see a pattern. I listen to suggestions. I love to hear a sentence that begins 'Why don't you...' I needed one more release for that year, so I did it. Suddenly I found myself at the shrink wrap line at the plant grabbing product, throwing it into the back of the car and taking it to the distributor. It was selling. A new era had arrived. The U.S. market took a little longer, it was another year or so before we started to do any decent numbers with the early box set releases, but you guys soon caught up with it. DM: How did you get a chance to work with Ted Kendall? JS: John R T Davies hooked me up with Ted Kendall who was working for the BBC. He was learning at John's feet, so to speak. 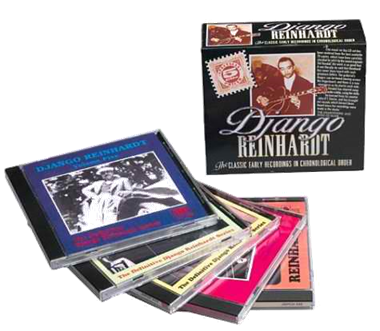 Ted did the amazing Django Reinhardt series and that became the next box. We then went on to release every single track Django ever made. Six box sets! If you love guitar, you must check out Django. B.B. loves him and you can hear how he picked up that ringing tone from Django. DM: This was such a fun part of the CD revolution. Finding these wonderful box sets of old recordings has been such a joy. JS: I accidentally revolutionized the reissue market...oops. I hadn't meant to do that. I then took that 'format' to other styles of music besides blues and jazz. DM: Wait a second. You have got to be kidding me. So for you the “old word” is America. JS: That’s right...‘You are going the wrong direction you fool.’ Little could he have known that all those years later I would be releasing all this important music from that part of the world. I like to think that we have done a pretty thorough job. DM: What are you working on these days? JS: Today my time is largely taken up with reissues both of the vintage material and from my own recordings, but I will not ever leave the contemporary scene. At the moment the whole Lucky and Tamara Peterson connection is just so stimulating. 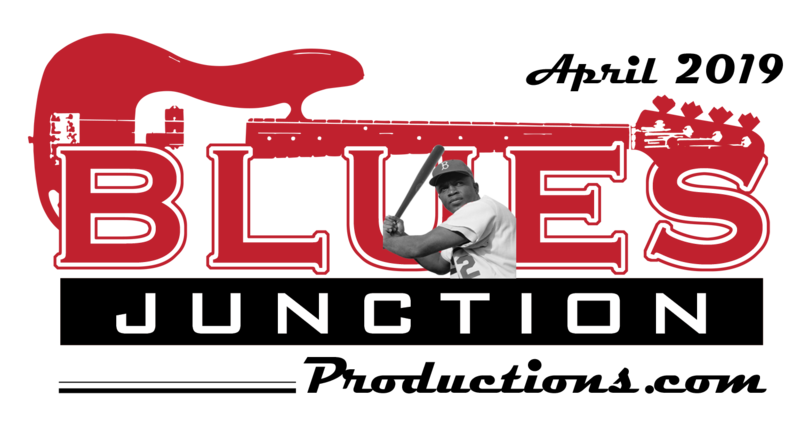 This year I released the Eddie “Blue” Lester album. I'm not sure who might be a candidate for the next new act next year, but I'm on the lookout. I hope there are a few more years left in both me and the label. DM: I do too John. I have really enjoyed this. JS: Thanks Dave. Stay in touch.